The graphics of the chess pieces themselves are splendidly done. Each piece is easily distinguished between one another and looks much like their real life counterparts. Not only that but there are a multitude of selectable chess pieces. You have the ability to choose from marble, gold, wood, plastic, and metal pieces. My personal favorite is the wooden pieces, can’t go wrong with the classics. The marble chess pieces however look very messy and are hard to make out as they are a mess of either gold or black marble that is extremely overdone. However when the game is played in 3D mode, that is where the graphics noticeably fall. 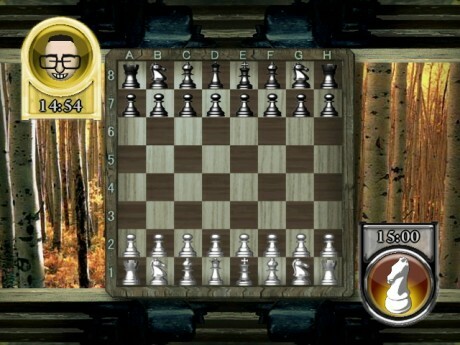 It’s obvious that the graphics will not be anything amazing on the Wii, however the 3D graphics are very choppy and occasionally even blurry, though these are just the backgrounds and the true part of the game is the board itself, which changes appearance depending on location and appears just as you would expect for a chess board set up in that location. 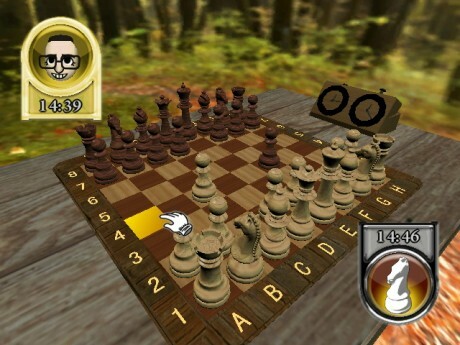 The 2D mode is about as basic as you can get, the types of pieces are still available but they appear as one would expect on an older computer version of Chess. The boards still transfer over their appearance, but they age in the process. The backgrounds also suffer for this; changing to simple desktop pictures that only show slightly on the sides. This is a pure chess game through and through. There are a few different modes to play, however the only difference is who you are playing with. There is single player, two player local play, and of course online play. The most interesting of these is the online play itself. Obviously there will be a difficulty curve due to the fact that some people you will be playing against may be experts at chess, but you never know if you will be the one to overthrow them. When playing single player there are three difficulty levels; novice, intermediate, and expert. There is also the option to choose a rated game which will be loaded onto the leader boards, and a practice game that will just be for fun. Plus there is the ability to choose from an incremental time amount, to a set time limit. These are only slight adjustments however and force the player to act quickly and intelligently to avoid losing because of an expired time limit. There is however, no option to shut the limit off. One thing that I would have thought would have been an amazing add on to the game, is they added some sort of themed chess boards to the selection. Such as a medieval suit of armor type chess board, or a fantasy board. However there is no such option and instead each piece will always have the same exact design regardless of what type of piece you pick. If you enjoy chess then you will enjoy this game. However there is no other option for any other type of gameplay. Chess Challenge! is chess only and it unfortunately lacks additional options or customization which would at least make for a more enjoyable game of chess. The online play is quite enjoyable, and the WiiConnect24 is fun for a slow paced game that you can take and play at your leisure with people around the world. Otherwise though, if you aren’t a fan of chess, then this isn’t for you. 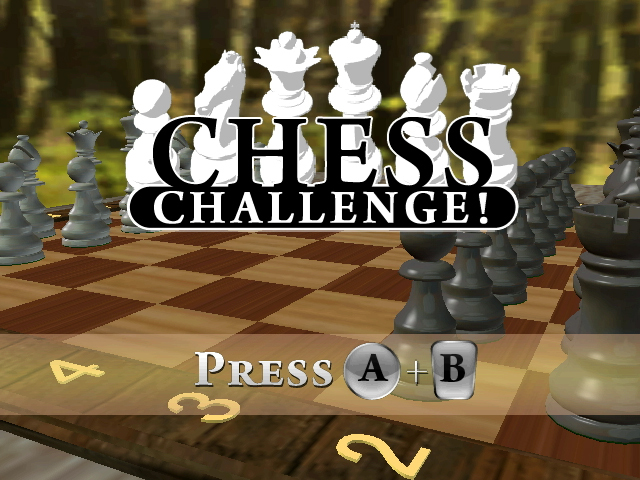 If you are a fan of chess though, for only 500 Wii points, Chess Challenge! is a must.